Hosting Rapido Review 2019: Is Hosting Rapido a Good Hosting? Launched in February 2004, Hosting Rapido is a small website hosting provider based in Spain. The apparent low quality of this vendor’s hosting solutions suggests that it does not own the data centers on which it hosts its clients’ websites. With server locations in the U.S., U.K., and Spain, Hosting Rapido aims to provide excellent web hosting solutions to Spanish individuals and businesses from its Spanish-language website. While the vendor claims to be powered by several data centers in the U.S., U.K., Canada, and Spain, a closer analysis leads me to believe that it may be a reseller hosting company that does not own its own data centers. This company has been providing shared hosting, dedicated servers, and domain registration services since it was established in 2004.With server locations in the U.S., U.K., and Spain, Hosting Rapido aims to provide excellent web hosting solutions to Spanish individuals and businesses from its Spanish-language website. While the vendor claims to be powered by several data centers in the U.S., U.K., Canada, and Spain, a closer analysis leads me to believe that it may be a reseller hosting company that does not own its own data centers. This company has been providing shared hosting, dedicated servers, and domain registration services since it was established in 2004. Hosting Rapido’s servers are housed in modern data centers located in the U.S., the U.K., and Spain that are powered by an uninterruptible power supply. 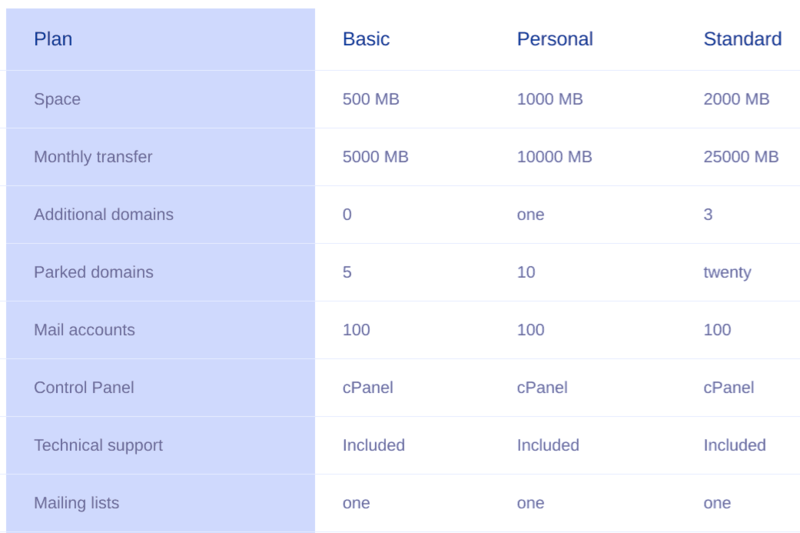 The vendor’s most basic shared hosting package comes with 500MB disk space, 5GB monthly bandwidth, and 5 parked domains. The premium shared hosting package includes 2GB disk space, 25GB monthly bandwidth, 3 additional domains, and 20 parked domains. All packages include one mailing list and 100 email accounts. They do not provide SSL certificates, even as an additional solution. Web-speed data compression technology is used to improve the loading speed of their clients’ websites. Rather than sending the original contents of the pages to viewers’ browsers, the servers send lighter compressed versions of the pages that load faster. Hosting Rapido’s own website is easy to navigate but is relatively sparse when it comes to describing the hosting services. Ostensibly, Hosting Rapido’s euro-denominated prices are in line with what other vendors are offering in the market. However, the fact that their starter package provides just 500MB of disk space (and the premium package provides just 2GB of disk space) makes their solutions quite expensive. This company does not offer VPS solutions, and none of the packages features unlimited bandwidth or disk space. Hosting Rapido’s payment plans are not as flexible as most users would want because you have to enter into a hosting contract of at least one year. This commitment risk is not mitigated at all because there is no refund policy and no uptime network guarantee. The only ways to reach out to Hosting Rapido’s customer support desk is by telephone or ticket; there’s no live chat and no email support. Unsurprisingly, this means they have no 24/7 support. In fact, they take frustratingly long to respond to support tickets, and on one occasion the support team sent me a short, vague response to a ticket I had opened more than 72 hours before. As of yet, there is no knowledge base to help you support yourself, and the published FAQ section is extremely sketchy. Hosting Rapido’s hosting solutions are pretty basic, and its features have notable restrictions. Despite claiming that they have data centers in the U.S., the U.K., Canada, and Spain, a close analysis of their hosting services shows that their services would only adequately serve startups, small businesses, and medium-sized enterprises in Spain. 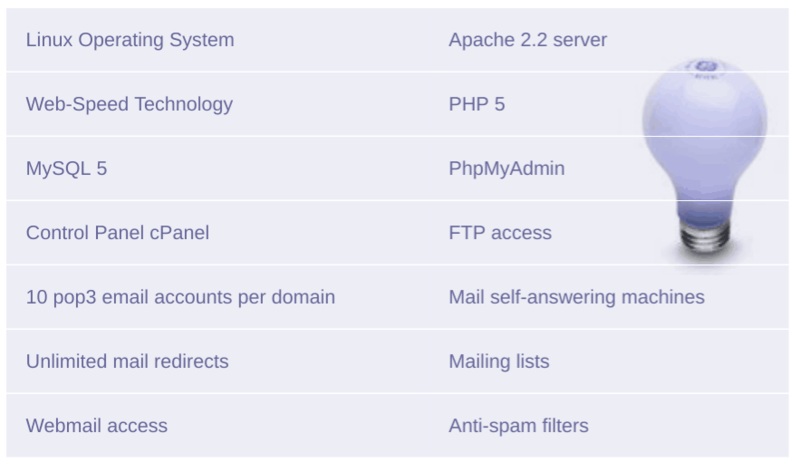 Wondering how Hosting Rapido stacks up against other Web Hosting companies? Enter any other Web Hosting company and we will give you a side-by-side comparison.